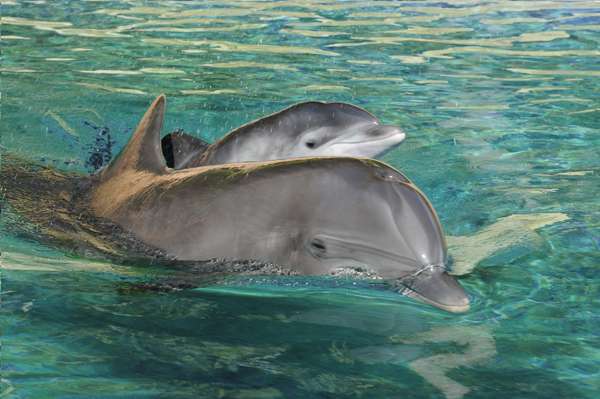 A female dolphin was born at Discovery Cove in Orlando on Tuesday, March 18, at 3:45 a.m. The calf now weighs approximately 48 pounds, is 47 inches long and is nursing and bonding with its mother, Natalie. This is Natalie’s fourth calf and the 28th dolphin born at Discovery Cove since the park opened in 2000. 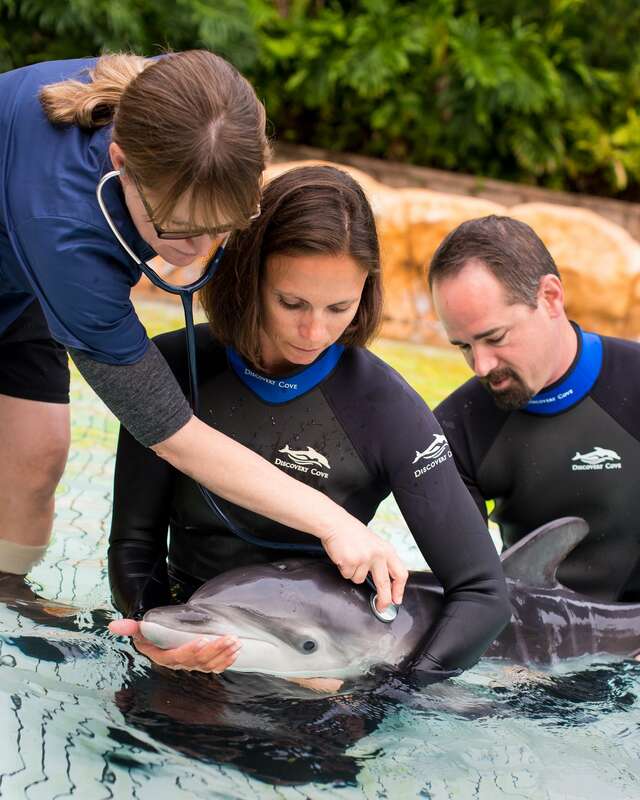 A week after she was born, the Discovery Cove Veterinary and Zoological Team performed her first neonatal wellness exam. Natalie kept a watchful eye from nearby as the team conducted the mini-physical. These examinations are a part of the general health care given to all animals in keeping with Discovery Cove’s high standards of care. The Discovery Cove Zoological Team is providing around-the-clock care for Natalie and her calf, along with Rose and her calf, born on February 12, 2014. All four dolphins are residing together in a behind-the-scenes pool. Discovery Cove is an all-inclusive day resort experience where guests enjoy a one-of-a-kind opportunity to swim with dolphins, snorkel with rays and tropical fish, hand-feed exotic birds and relax on pristine beaches. To discover more, visit DiscoveryCove.com.